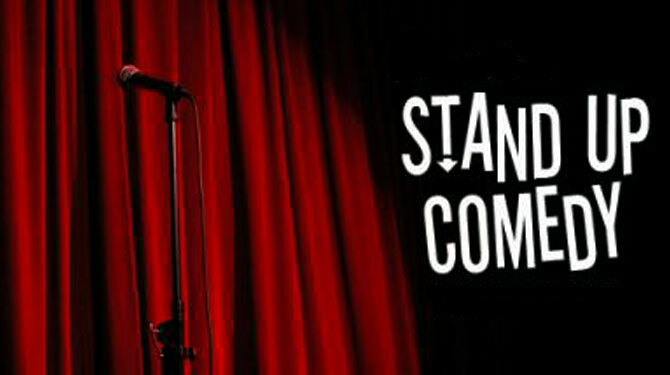 Stand up comedy has grown immensely as an art form in India during the last few years. It has become one of the most cherished and most attractive forms of art these days. Stand-Up comedy is hot right now, very hot. It’s grown so popular in the last couple of years that I myself wanted to give it a go since I have always loved been on the stage. I thought that my sense of humor is good and if I can work on it and use my creative skills I can come up with a few jokes and maybe the people will laugh. Trying to be a stand-up comedian was never easy. It takes a whole lot of guts to stand-up in front of an audience, which is expecting you to make them laugh. You stand right there with many eyes looking at you, expecting you to be funny. Everybody is judging you, every second of your stage time. You go up to the stage trying to be funny. They wonder if you have the right confidence, the right presence on the stage, the quality of the jokes and the ability to make them laugh despite whatever it takes. If the audience starts to like you, they laugh and you start feeling as if you are at the top of the world. Your performance falls in place, your timing, your delivery, and even your impromptus fall in place. People start to connect with you. They can see the funny side of the world, like how you do. They laugh at almost everything you say. The intensity of the laughter is high and you love yourself for making so many of them happy. You feel like a rockstar. And if for some reason you’re delivery is off, or the content isn’t that great and the audience doesn’t laugh. You hit the rock bottom and you want to run away, you want to get a little laughter out to save your pride and sign off on a little high. And say if you’re deprived of even that little late surge then there is no worst feeling. You went in front of an audience and you said things which you thought were funny, but nobody laughed. They stared at you and felt sorry for you. And if you were here to stay. You hit back to the drawing board and rework your content. You think about your stage persona and all. You talk to other comics and seek their advice about what happened and how to revive yourself. And you are back with new stuff and a hope to make people laugh. But what I have realized from whatever little I have done on stage and whatever I have seen on TV, internet, and the open mics, is that you can write the greatest of jokes which people might die laughing when they read it or when you tell them in person but doing it as a part of a stand up comedy act is a whole different thing. You need an impeccable delivery of your content. For some, it’s pretty natural while for some others it’s about developing it over time. There are many other challenges a comedian, especially, a rookie, an amateur has to face. Stage time is precious and it is not easily available. Finding a slot to perform is not easy. Although the number of open mics being organized has gone up but getting a spot is not easy. Most of those slots go to the more experienced comedians since they are more likely to attract audiences. Even the Pros love such open mics since they can try their ‘new material’ in here and do a bit of experimentation. And even if you have found a slot to perform, the pressure is on you. It’s either go big or go home. If you can’t deliver when you get the opportunity, finding another slot won’t be easy. It takes hard work, the ability to drink failure as many times as you come across it, self-belief and patience. Comedians do comedy because they love it. They love making people laugh and when they succeed, they feel wonderful as finally, their sacrifices pay off. If you want to do stand-up comedy, forget to stand up comedy, if you want to take up an art form then do it for the love of it. If you’re doing it for some other reason you will most likely quit, soon. It might not be easy, but I assure you it is worth it.